In 1949, the famous « kids meal » appeared on board. In 1951, the family service was born on the Paris-Dakar route. Nurse hostesses helped mothers to care for their children, providing bottles of milk and cots on flights that lasted up to 20 hours. 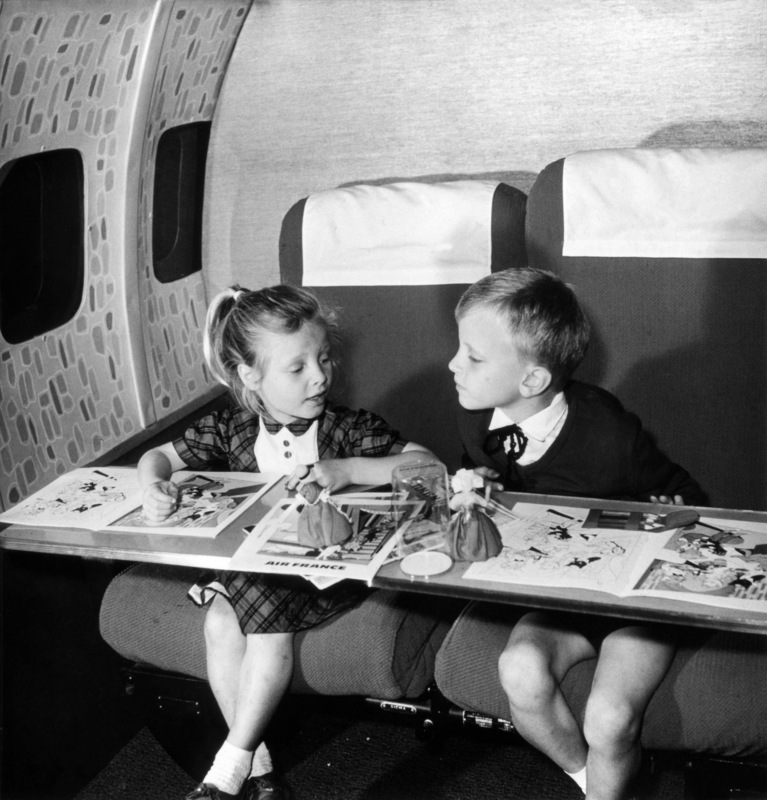 To entertain its younger passengers, Air France provided toys, games, books and even a magazine, Flip, as from 1952. Over the years, even more entertainment was provided – inflight movies in 1966, individual video in the 1990s, video games, etc. In 1993, children discovered a new planet – “Planète Bleue”, a complete range of products and services for families and children. Today, with “Kids” and “Kids Solo”, Air France is perpetuating its authentic way of welcoming young globetrotters and transports 1,400,000 children on its flights every year. Among them, some 300,000 travel alone, but they’re never really alone as they have been taken care of every step of the way by Air France staff for 85 years.